One stop Solution for Intraoperative cataract needs. Revive Multifocal Available In Both Hydrophilic & Hydrophobic. 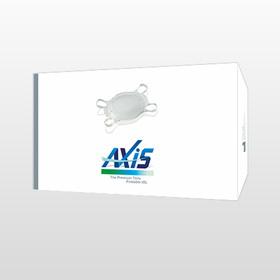 Axis Toric Available In Both Hydrophilic & Hydrophobic. QUALITY is not an act, it is a habit. QUALITY is never an accident; it is always the result of high intention, sincere effort, intelligent direction and skillful execution; it represents the wise choice of many alternatives. At OMNI, it is imbibed in our work-ethics. We have retained our customers long time and remain ahead of our competitors on the back of strong product and unbeatable product delivery timelines. We live in a world wherein the boundaries are blurred when it comes to Trade. Exports is a process in which the markets integrate worldwide. A truly exportable product is the one which works for everyone and not just few. OMNI has been exporting for more than a decade now, and our products are being exported to more than 90 countries. We have established our niche, by providing products which are economic yet excellently packaged with outstanding quality. We export over 70% of our production capacity. In its traditional definition, an original equipment manufacturer (OEM) is a company whose goods are used as components in the products of another company, which then sells the finished item to users. 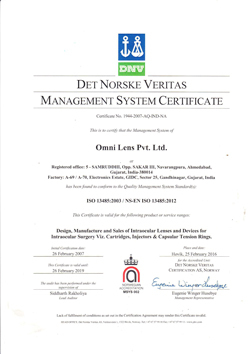 OMNI is a CE/ ISO certified reliable OEM partner for all your products. We have experienced and capable production team which understands your requirement to give the product as per your product specification. 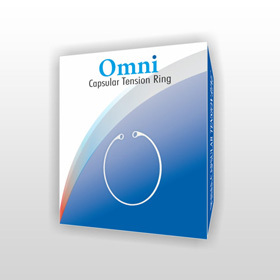 Omni Lens Pvt Ltd is one of the biggest IOL Manufacturer from INDIA. We offer a comprehensive range of products when it comes to Cataract. A National Award winner Omni lens Pvt Ltd was established in early 90’s promoted and managed by a highly efficient group of professionals. Based on high-quality intraocular lenses, the company’s products are backed by responsive service and access to OMNI’s expert knowledge base. Since then, we have led ourselves to become a known facet In Indian Ophthalmic Industry, and have a global presence. At OMNI, we practise the 3 T’s which makes us your Go-To Choice. Its said that Trust is hard as hell to earn, and easy as a cake to slice. At OMNI, we believe in a positive approach to understand your requirement, and building trust for a long term association. Our work ethic imbibes us to make processes simpler, easier and making ourselves accessible for our customers. What we say, we mean it, and we deliver it. During our 2 decades of growth, we have learnt and we have kept on improving ourselves. Its our determination which has led our success story and helps us churn out quality products time after time, each time. 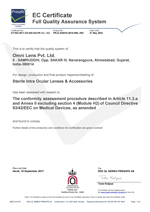 OMNI is a 1 Stop Solution, when it comes to Cataract, and as Manufacturers & Exporters of Intraocular lens, we are well equipped to carry out OEM projects as well as provide OMNI brand to distribute globally. A complete range of IOLs right from Basic PMMA to most advanced IOLs like Toric & Multifocal on Hydrophilic & Hydrophobic platform. Aspheric IOLs, from imported raw material, using the best preloaded system to implant the IOLs. Check our entire range of IOLs for all your ophthalmic needs. Viscoelastics are clear isotonic sterile, non inflamatory solutons used as a lubricant and protector in IOL surgery. As a surgical aid (Medical device) during cataract surgery. Maintains the depth of the anterior chamber with out the risk of the damaging the endothelium of the cornea or other intra-ocular tissues. 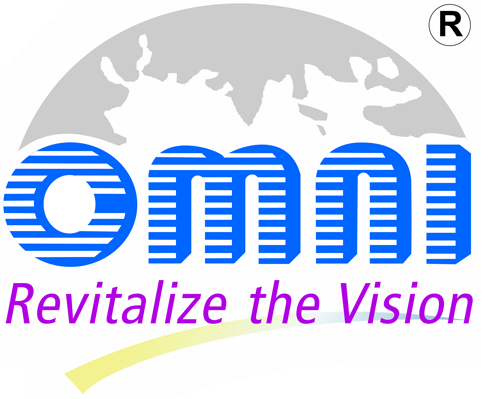 OMNI offers an extensive range of ophthalmic solutions for ophthalmic clinic and practice. 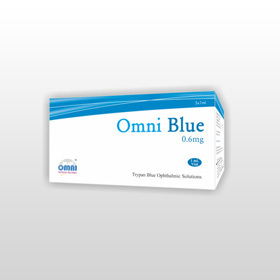 Whether you are looking for Trypan blue, Carbachol, Balanced Salt Solution, HPMC, Sodium Hyaluronate you can receive all at OMNI. OMNI LENS offers a superior quality experience, yet affordable solution. 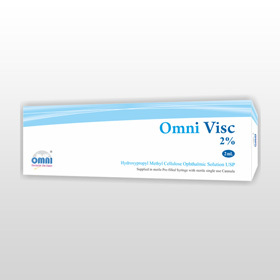 OMNI offers an extensive range of consumables for ophthalmic clinic and practice. Whether you are looking for disposable drapes, or CTRs, diagnostic strips, Microsurgical Knives, Sponges, you can receive all at OMNI. OMNI LENS offers a superior quality experience, yet affordable solution. We support your conformity assessment by providing the required documents for the materials used in our systems. 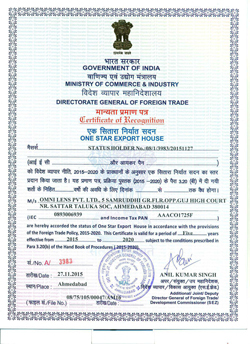 So far, we have registered our products in South East Asia, Africa, Latin America & Europe. efficient products, offered at competitive prices. OMNI offers products of CE Standards and keep strict control over quality and productivity at every stage. Our congenial environment; well built infrastructure; energetic & highly competent technical staff and workforce; efficient & committed management support are the pillar to practice up-to-date Quality Management Systems and thus results in meeting highest quality standards, safety and productivity. This allows us to keep a stagerring record of having 70% exports of our production capacity yet maintaining an outstanding camaraderie with our clients. Our team of regulatory experts are dedicated to help our customers with regulatory questions and to support them with their regulatory submissions. Regulatory texts, standards and guidance applicable to our devices are numerous, evolving and complex to apply and with new stringent CE laws, it becomes even further more tedious. We are experts within this stringent regulatory environment and make sure our team stays sharp on key topics including material compliance and controls device and drug product development and manufacturing regulations such as Quality by Design, Combination Products, etc.Most of our products are regulated as device components of combination drugs. © 2017 Omni Lens. Designed and Developed by Vertilex Web Solutions Pvt. Ltd.